Recent Arrival! Heres your chance to own a Tesla for a fraction of what you thought youd have to pay! With Tech Package, Bluetooth, All Glass Panoramic Roof, Carbon Fiber Decor Accents, Dual Charger, Exterior Parking Camera Rear, Front dual zone A/C, Fully automatic headlights, Heated front seats, HomeLink, Nappa Leather Heated 12-Way Power Seats, Navigation System, Parking Sensors, Power Rear Liftgate, Tech Package.CARFAX One-Owner. Clean CARFAX. 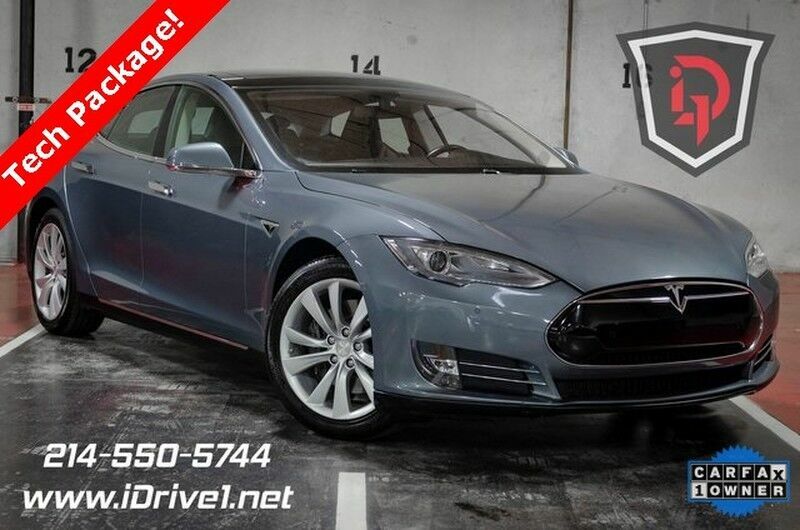 Electric Supercharged RWD 1-Speed Automatic We have financing options for everyone! Call for vehicle details and availability. Showroom: 214.550.5744.IDrive1. You should 2!